Despite myriad column inches, and the urgings of governments from east to west, the Islamic fund industry remains something of a pygmy. The markets for Islamic banking, insurance and sukuk bonds have all seen solid growth in recent years, but the sharia-compliant fund industry remains tiny, with Ernst & Young estimating it at $58bn, as of 2010, a fraction of the $300bn sukuk sector. The sharia fund market, which is heavily skewed towards equities, was not helped by its emergence coinciding with the global financial crisis, damaging confidence at an inopportune time. However, to Hasan Al Jabri, chief executive of Saudi Arabia’s Sedco Capital, the resultant “chronic” lack of high-quality sharia-compliant products represents both a challenge and an opportunity. “Islamic investors have traditionally found it difficult to access the same investment opportunities as non-Islamic investors. The growth of sharia-compliant investment has been stunted by a reputation for a lack of diversity, poor performance and high fees,” says Mr Al Jabri, who also cites the lack of “credibility” of houses that sell both sharia and non-sharia products and a view in some quarters that sharia funds are a relatively unimportant niche. “For some of the western banks it’s not really meaningful, it’s not worth the attention. When we grow to $5bn, it’s very meaningful for us,” he says. Since May 2012, Sedco Capital has “addressed these challenges head on”, building what is believed to be the largest sharia-compliant fund platform in Luxembourg. Its five vehicles, covering passive US equities, fundamental US equities, global dividend stocks, emerging market equities and global real estate investment trusts, hold $900m of assets. Although this number is small in the great scheme of things, Mr Al Jabri points out that Sedco’s sharia-compliant US Equities Passive fund, with assets of $360m, dwarfs the $20m held by the iShares MSCI USA Islamic exchange traded fund, and has lower fees, 40 basis points against 50bp. “I’m not aware of any single entity that has the range of sharia products we do. Certainly in Luxembourg we are the largest platform and the most diverse,” says Mr Al Jabri. Jeddah-based Sedco is currently launching two more vehicles with one, the Global Market Sentiment fund, designed to switch between equities and Islamic time deposits, or murabaha, as the manager sees fit. “We are very excited about it,” says Mr Al Jabri. “It’s a tactical fund. The economic cycles have become shorter, the markets move very fast. We see a bull market then a bear market then a bull market, it’s happening every two to three months. The Market Sentiment fund is being launched alongside a fixed income equivalent, and each vehicle has been seeded with $150m from Sedco’s wealth management clients. The plan is to launch around eight to 10 funds during 2013, raising assets on the Luxembourg platform to $1.6bn. Asia-Pacific and emerging market equity funds are on the drawing board, alongside a US real estate fund and private equity funds covering the US and Brazil. All the funds are outsourced to external managers with, for instance, State Street Global Advisors managing the US Equities Passive fund and Credit Suisse contracted to run the two latest offerings. Sedco has a series of Saudi feeder funds to channel money from its home market into the Luxembourg platform, but Mr Al Jabri says the bulk of the money is coming from elsewhere, a trend he expects to become more pronounced, even though Sedco is targeting only “sophisticated” investors. “Several private banks have approached us. They want to do their due diligence and then they will start very actively marketing it to their own private clients,” says Mr Al Jabri, who says Sedco has also had “preliminary discussions” with non-Muslim investors. Indeed, Mr Al Jabri believes sharia investment could find favour with a growing number of western investors. This approach is perhaps more noticeable in Sedco’s private equity operations, where it already has some non-Muslim investors. The company started investing in both property and private equity in the 1970s, when it was formed as the family office of Sheikh Salem Bin Mahfouz, the founder of Saudi Arabia’s National Commercial Bank. However, restrictions on interest payments and debt mandated by a sharia-compliant approach means Sedco cannot participate in leveraged or management buyouts, although it is happy to invest in indebted companies as long as their debt is no more than a third of their market capitalisation. This approach forces Sedco to concentrate on targeting growth companies via venture capital, something a number of established private equity groups are happy to accommodate by setting up parallel sharia-compliant funds alongside their mainstream offerings. “The portfolio will be 20-30 per cent different [from the mainstream fund],” says Mr Al Jabri, who says this approach has benefited investors in both private and public equity markets. “We were out of financial institutions and insurance companies because their leverage was too high. That has helped our performance in the past few years, although it can work against us. In 2012 we missed out on opportunities. This entry was posted in Around the world, Mutual funds and Islamic investments and tagged Islamic Banking, Islamic finance, Saudi Arabia, SEDCO, Shariah. Bookmark the permalink. Assalamu-Alaikum…Great blog and domain! If you can add me to your blogroll that would be greatly appreciated. very informative, keep it up! 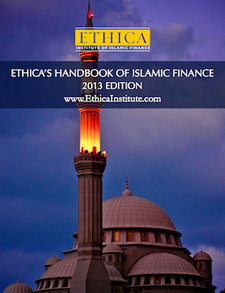 out of topic, if any wants be a certified islamic banker kindly visit: Arab Institute .